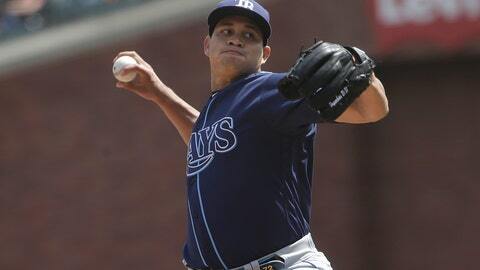 SAN FRANCISCO (AP) — Tampa Bay Rays manager Kevin Cash keeps getting the most from his pitching staff. Kolarek pitched a perfect sixth inning to protect a 2-0 lead. The left-hander gave up a leadoff single to pinch-hitter Yangervis Solarte, then shifted over to play first base — it was his first time in the majors at a position other than pitcher, and allowed the Rays to bring in right-hander reliever Chaz Roe.